Please read the intro to the 264 Series in the C16/C116 entry before proceeding. 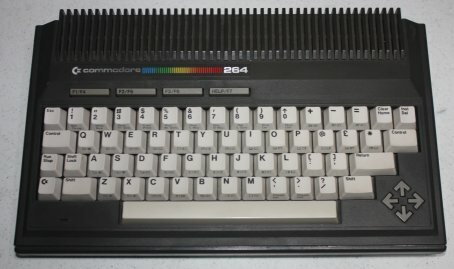 The namesake computer of the 264 Series is almost identical to the sibling that actually made it to market, namely the Plus/4. It has the same amount of RAM, the same keyboard and case, and even shares an identical motherboard, lacking only the 3+1 ROM software to make it a full Plus/4. 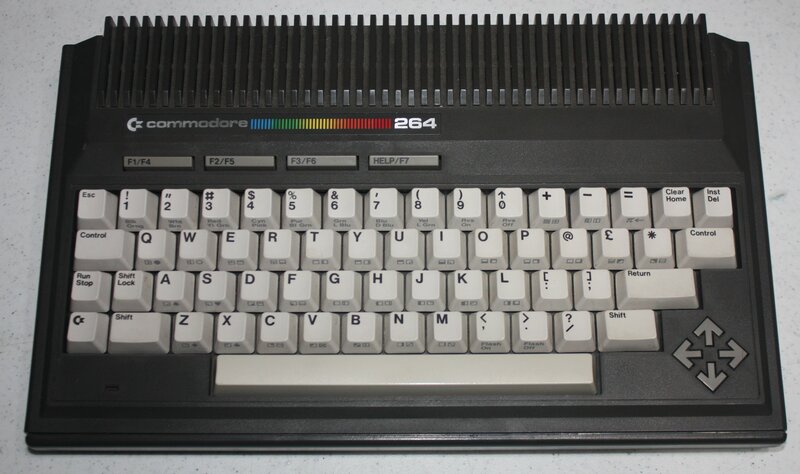 However, the 264 as-is was never released, so again this is a demo unit, or a pre-production prototype, typically given to developers so that software would be available when the computer hit store shelves. The Commdore 264 and 116, being developed first, provided a basis for the development of other computers in the 264 series by Commodore-Japan. 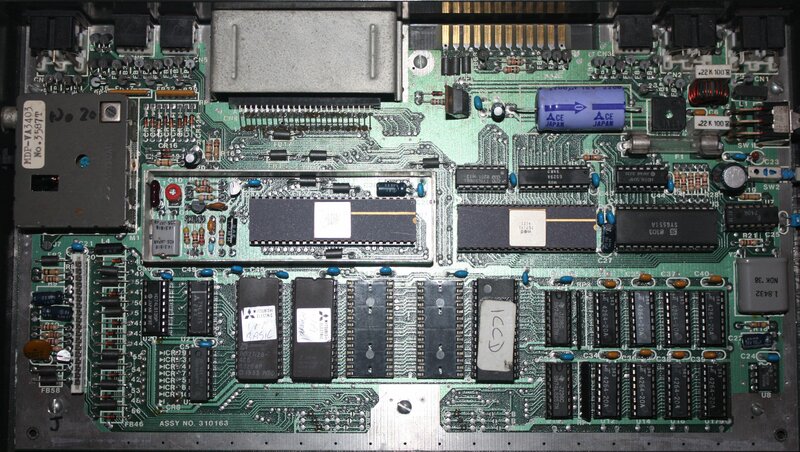 For those who are curious, here is a picture of the prototype motherboard, all socketed and working fine, with its 01/19 ROMs.